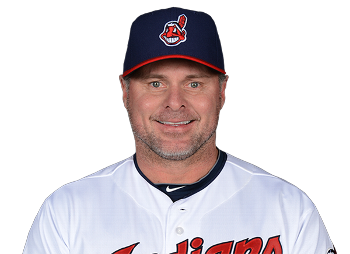 On February 9 the Cleveland Indians signed 42-year-old free agent slugger Jason Giambi to a minor league contract with an invitation to spring training. Since the last few years have been seen as the twilight of his career, especially since he was nearly named the new manager of the Colorado Rockies, not many people in Cleveland expected Giambi to make the Opening Day roster. However, Tribe manager Terry Francona is on record saying he likes Giambi’s leadership ability. As a result, the former American League Most Valuable Player is on the team to at least start the season. The question is, other than leadership, how much more production can we expect out of him? The Cleveland Indians have a trend in my lifetime of signing or trading for stars of the past whose best days were behind them, dating back to when I was a child. The first instance I clearly remember occurring was in 1990 when they signed 36-year-old Keith Hernandez from the New York Mets. Hernandez was a former MVP, five-time all-star, and 10-time gold glover in his career. Little did I know as a naïve seven-year old that he also suffered debilitating injuries in the years prior to when the Tribe signed him and he was a shell of his former self. Hernandez was the primary first baseman on that team until rookie Carlos Baerga was ready to be promoted to take over third base and slide Brook Jacoby over to the other corner. Hernandez played in only 43 games for the Indians that season, hitting only .200 with one home run and eight RBIs. He retired after the season. The Indians finished 77-85. For the next few seasons the Indians emphasized a youth movement, straying away from players past their primes like Hernandez. The next time they did this was 1994 when they signed Eddie Murray. Like Hernandez, Murray was a star in the late 1970s and all throughout the 80s. Unlike Hernandez, however, the former Rookie of the Year and eight-time all-star was called upon to be a veteran piece to their young lineup. Instead of playing the field, Murray was the primary designated hitter. He proved he still had some gas left in his 37-year-old tank. Murray played two and a half seasons with the Tribe, hitting .281 with 50 home runs and 203 runs batted in over 309 games as a middle of the order hitter on the Indians’ first American League champion team since 1954. Since the lightning in a bottle captured with Murray, the Indians went on to sign other past stars that were, like Hernandez, were very forgettable. Dave Winfield, like Murray was a former multi-time all-star and MVP candidate in the late 70s and during the 80s. In 1993 he was still a productive hitter. When the Indians picked him up two years at later age 43 his tank had run out. Winfield played only 43 games for the Indians in 1995, hitting only .191 with two homers and four RBIs. He did pick himself up one last American League championship ring as part of that World Series team before retiring at the end of the season. The Indians went back to the senior citizens center in 1997 when they called upon 35-year-old Kevin Mitchell for an aging veteran presence on their last World Series team. On a team full of hitters in their prime, Mitchell was not needed in the lineup, as he played in only 20 games. Like Winfield, he did collect one last league championship ring before his retirement. The next season was Cecil Fielder’s turn. Though he was only 34 at the time, he was still overweight and lost in another crowded lineup of hitters. He was clearly past his prime and stepped up to the plate in only 14 games in 1998. The following season, in the midst of their fifth straight playoff run, the Indians traded for Harold Baines. At 40-years-old, Baines was showing he could still hit at a Major League level. With the Indians he hit .271 with 22 RBIs in 28 games and even hit .357 in four playoff games that season. However, he was granted free agency by that offseason, he went back to Baltimore, was traded to the White Sox where he began his career, and retired two years later. In 2001 the Indians found another version of Eddie Murray in Ellis Burks. At 36-years-old, Burks could still hit a ton and as the primary designated hitter, did not need to do much else. In a little over two years with the Tribe, Burks hit for a .287 average with 66 homeruns and 193 runs batted in. However, his first year with the club was the last that they saw any success. A 3-2 loss in the division series to the Seattle Mariners that October saw the end of the dominant Cleveland Indians dynasty over the American League Central that spanned seven years. They dipped below .500 the next season for the first time since 1993 and have yet to recapture any sustained success. Since Burks, the Cleveland Indians have not gone to the well with many trades or signings of aging, past their prime hitting stars, save for bringing back Kenny Lofton for their playoff run in 2007 and Jim Thome in 2011. In 2005 Juan Gonzalez saw one at-bat in which he strained his hamstring running out a ground ball and called it quits later in the season. But that was all. Looking at this history, it is quite clear Jason Giambi was not called upon to provide like Eddie Murray and Ellis Burks did. Rather, he is a veteran presence in the clubhouse much like Dave Winfield, Kevin Mitchell, and Cecil Fielder. There is a potential he could produce in a part-time role like Harold Baines did at his age, but that remains to be seen. The difference is the others played for teams with proven playoff caliber lineups. While the 2013 Indians have definite potential, it is a team with much turnover. For however long Giambi is on this team, he will be a valuable mentor and player-coach type to back up Terry Francona as he leads this young team into the 2013 season.